Premier Aquatics - Black Friday!!! Thread: Premier Aquatics - Black Friday!!! 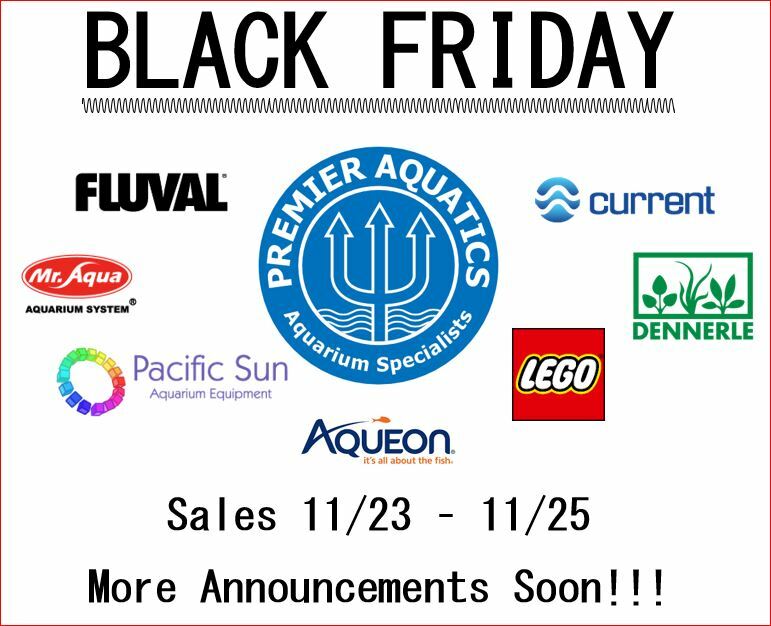 Black Friday is coming to Premier Aquatics this year!!! Most sales will be going from 11/23 - 11/25 all weekend long! Stay tuned as we will be giving more details on sales in the coming days. Also there are some sales on very high end brands that we are not allowed to announce until Friday 11/23 at 12:01AM... so keep an eye out as you will not want to miss out!!! aX·i·o·mat·ic - taken for granted : self-evident or unquestionable. « Premier Aquatics - New Cobalt Aquatics food in-stock!! !